Shopping for Cars Pop! Vinyl Figures? Get a fast pass to fun times with the characters of Disney Pixar's Cars . With the help of rookie Cruz, Lightning McQueen is attempting a comeback in the Florida 500. 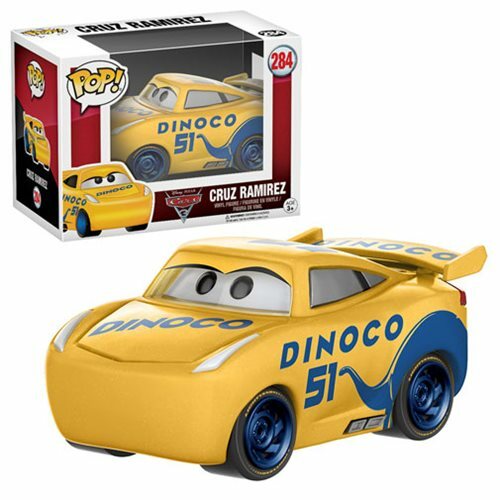 The Cars 3 Cruz Ramirez Pop! Vinyl Figure comes packaged in a window display box. Ages 3 and up.